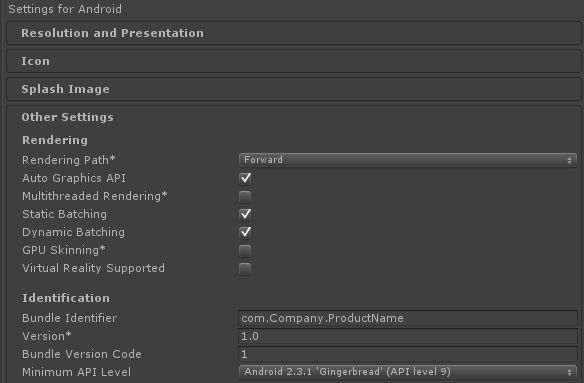 It’s time to do a Unity Android build. Once you complete this tutorial, you’ll be ready to build any of your projects to Android. It’s time to put your game onto a phone (or tablet) so you can start showing it off to friends (or strangers if you don’t have friends). Building your game out to an android device is actually pretty easy to do, once you have the initial setup out of the way. This is found in the settings of your android device, but as of android 4.2 it’s hidden by default. To make the developer options available, go to “About device” in your android settings. Find the “Build number“, tap on it 7 times. If you tapped correctly…. developer mode should now be available. Go back to Settings and look for “Developer options” (for me, it’s right above About device). Optional: Check Stay awake – You don’t have to do this, but if your phone locks it will stop your builds. We’re done with phone setup, now it’s time to deal with the Unity setup. Go ahead and plug in your phone or tablet. If you’re on windows, you probably need to install Googles USB drivers. You may already have them, in which case you can skip ahead. But if you end up with your device not being detected, make sure to follow the steps in this section. You should see a message saying the installation was completed successfully. 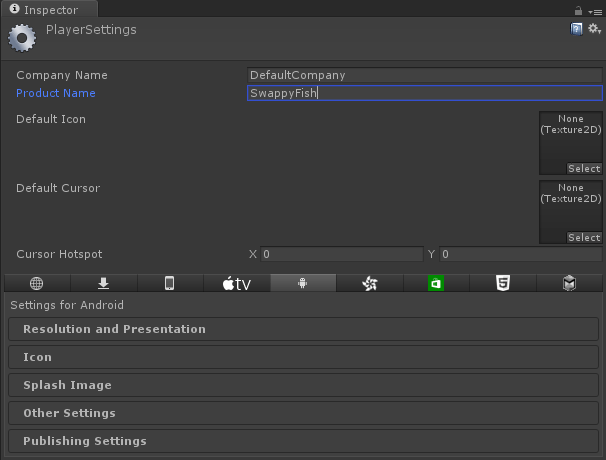 Now, make sure you have a scene selected in the Scenes In Build area. If you don’t, you need to add one now. Create a folder to save the output to, then name your file. 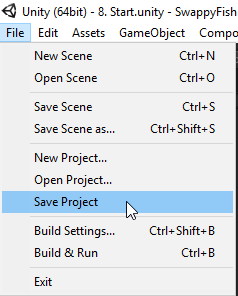 Do not make it a sub-folder of your Unity project, a build is not part of your project and belongs in a separate place. There are a few possibilities for what happens now. You may have received an error saying no suitable android device was found. If so, we need to do a bit more setup, if not, skip past this section. 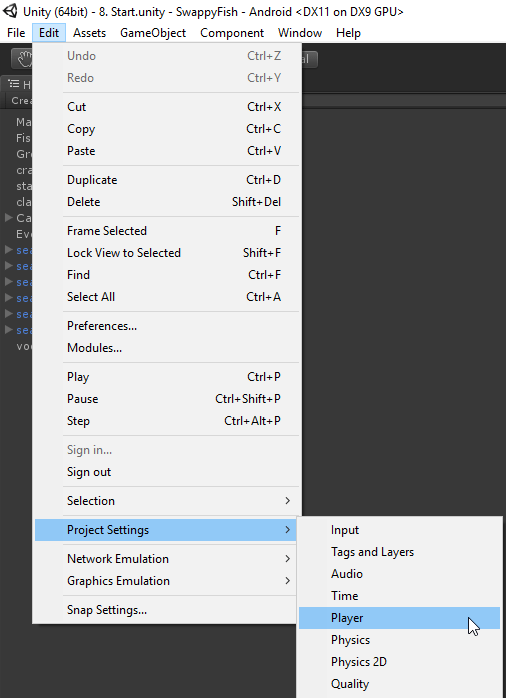 When you installed Unity, there were options for different build platforms. If you didn’t select “Android Build Support“, you’re probably missing the required android files. You have 2 options here, you can re-install Unity with the Android Build Support checked (in-fact, I’d select all of the platforms there to make it easier next time you try another target). This could be a good opportunity to update to the latest Unity version as well. If you want the easy way, or an update sounds good, go for that option. This is a bit more involved than the easy way, but if you really don’t want to re-run the installer, this should fix the error for you. One of the requirements for an Android build is the Java SDK. If you haven’t already installed it (and didn’t select android build support so Unity would install it for you), you’ll need to download and install it now. If you have a 32bit version of windows, download the Windows x86 version instead. While the installer will allow you to change the destination folder, I recommend against it. The SDK should be done installing, click Close. If you got past the first part, you were probably presented with this error message. This is telling you that you need to set the Bundle Identifier. Your settings should look like this now, though your Product Name may be different. Set a Company and Product name of your choice. You’ll see the area “Bundle Identifier” here. Set your Bundle Identifier to something that matches the pattern. It must start with com, then have your company name, and product name. These’s don’t need to match exactly with your product and company, but should if possible. Special characters are not allowed here. Once you’ve set your Bundle Identifier, save your project. This time, your build should actually work! Reminder: Your phone/tablet must be UNLOCKED and plugged in for a build to deploy to it. If you followed the steps above, you should now have a working android build that you can show off. Put it on a few devices and show everyone what you’ve done!